Paige Smith works as part of Dean Mary Klotman's administrative team, where she coordinates process, timelines, and people for new and ongoing initiatives within the School of Medicine. A few of her major priorities include providing administrative leadership for the department chair recruitment process, serving as the administrator for the Translating Duke Health Initiative, and identifying ways to recognize faculty and staff through both internal and external awards programs. Prior to working in the Dean's office, Paige worked for Drs. Ann Brown and Mark Dewhirst in the Office for Faculty Mentoring. In this role, she coordinated several grant writing programs and other faculty development initiatives. Outside of work, Paige is actively involved in the Junior League of Durham and Orange Counties, a nonprofit organization committed to promoting voluntarism, developing the potential of women, and improving communities through effective action and leadership of trained volunteers. 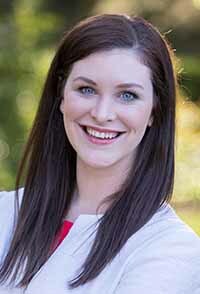 Paige serves on the Junior League Board of Directors as the Vice President of Training and Development. Her educational background includes a B.A in Public Policy Analysis from University of North Carolina at Chapel Hill, and a M.Ed. in Training and Development from North Carolina State University.